We have lots of beautiful shady and level powered tent sites situated in a natural park like environment with amenities conveniently close to hand. These sites have soft grass underfoot for superior comfort and all tent sites are pet friendly so you don't have to leave your furry mate at home. Guests staying on our powered sites are welcome to enjoy the wide range of on-site facilities within the Park. 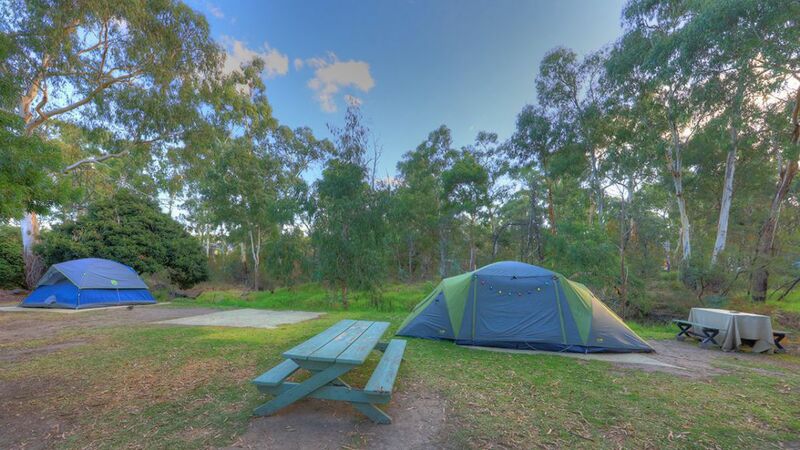 We are located just 45mins from Melbourne's CBD making us the perfect place to stay for guests wanting a great Melbourne camping experience. Pets are welcome subject to our Pets Policy.